This lively collection of Bible stories set to catchy Rock-n-Roll style melodies provides a fun way for your children to learn 'scripture and verse'. Includes split-trax for every song. 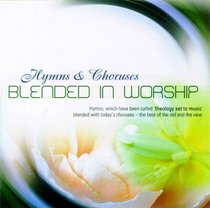 About "Hymns and Choruses Blended in Worship"